Shikisai is a combination of two Japanese words which means “color” and “four seasons”. Japan is known as a country that takes the celebration of four seasons seriously. 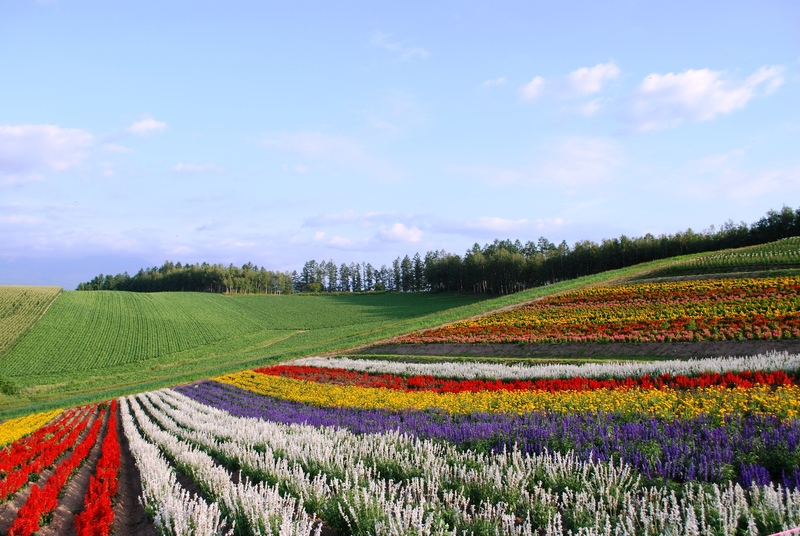 Shikisai no Oka is a flower garden that covers all across the 15 hectares land of Biei Hill in Hokkaido throughout the year. There are countless types of flowers and scents that you can enjoy. 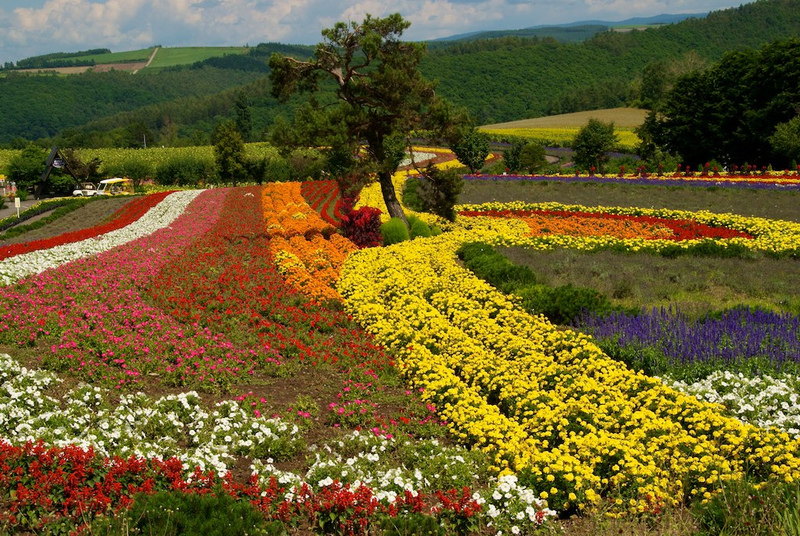 Flowers such as lavender, tulip, sunflower, Japanese anemone etc bloom throughout each seasons. 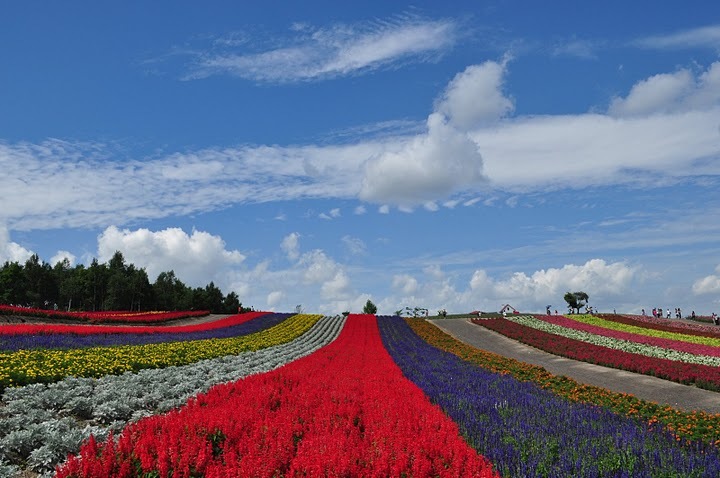 Come to enjoy the grand nature and beautiful scents of the flowers!